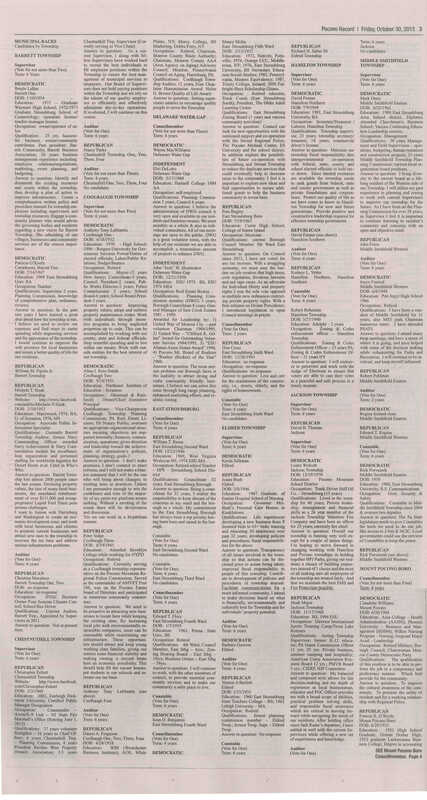 Thanks to the Pocono Record for publishing this Voters Guide in the October 30th edition of the Pocono Record! In case you missed it, here’s the guide below. The Middle Smithfield Township section is on page 3 (click here!). The 2015 primary general elections will take place on Tuesday, November 3rd, 2015 from 7 a.m. – 8 p.m. Middle Smithfield Township offers two voting places that are both handicap accessible –Middle Smithfield Presbyterian Church and Middle Smithfield Municipal Building. Primary Elections in Pennsylvania are closed meaning you must be a member of the party to vote for that party’s candidate. Eligible voters must be registered to vote at least 30 days prior to the election. To be eligible to vote in this year’s primary, you need to be registered to vote by April 21st. To check the status of your voter registration you can contact your County Board of Elections in Monroe County at 570-517-3165. Absentee voting for registered voters who are ill, disabled, or who will be absent from the municipality on Election Day is closed for the 2014 General Primary Elections. Absentee voting is done through a civilian absentee ballot and will be available prior to the next election. 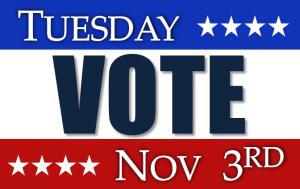 Primary Elections take place at all polling places on Tuesday, November 3rd, 2015. Polls will open at 7 a.m. and close at 8 p.m. You will be able to vote as long as you are already registered to vote and in line before 8 p.m.
Where Can Middle Smithfield Township Residents Vote?